Gold, Silver, and Bronze level members can register at a discounted rate. ONE FREE admission is allowed for each company that is a Platinum Sponsor. Guests may be added at a cost of $60 per guest. One 6' table and chair will be provided. Add another person to your table for only $60. No booths allowed. Power outlets are available. Please register early in order to guarantee your spot! Vendor setup begins at 8am on the day of the event. One 6' table and chair will be provided. Add another person to your table for only $80. No booths allowed. Power outlets are available. Please register early in order to guarantee your spot! Vendor setup begins at 8am on the day of the event. 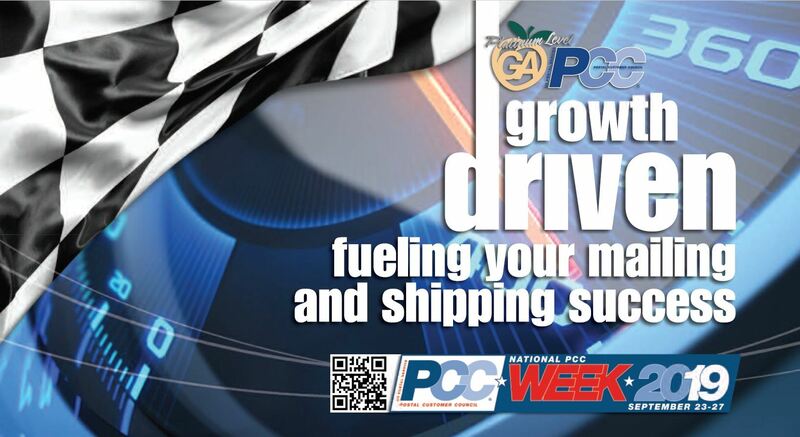 Plan to attend this year's Greater Atlanta PCC Day event. Join us to interact with USPS executives, network with other mailing industry professionals, and participate in our Vendor Showcase! Vendors - you won't want to miss this! This year's event will feature some amazing door prizes! The luncheon is sponsored by our friends at the Atlanta Postal Credit Union. Parking is sponsored by our friends at BCC Software. So come join us in this great celebration, our annual National PCC Day for 2019!